I will admit that breastfeeding a newborn baby is a good thing. There are numerous benefits to both the mother and the baby. That said, I will also admit that both of my sons were bottle-fed formula. I did not want to breastfeed. Of course, back when my sons were small, breastfeeding in public – even discreetly – was frowned upon. Breastfeeding moms were forced to sit in smelly restrooms or other restricted areas when their babies needed to be fed. It was difficult for working women to find a place to pump and save breast milk while they were at the office. Society made it difficult for mothers to breastfeed their babies 25 years ago. I guess the times they are a-changin’. As of September 3rd, NYC hospitals will “hide” formula from new moms in an effort to get more women to breastfeed their newborns. Women who wish to formula feed their babies will have to request a bottle from the nurse, who will have to get it from a locked security area. The nurse is then required to hand the new mom the bottle and a lecture on the benefits of breastfeeding. Yes, every single time the child needs to be fed, this lengthy procedure will take place. “Are you kidding?” just about covers my response to Mayor Bloomberg’s latest intrusion on personal freedom. When was the last time Bloomberg breastfed a child? I would venture to say never. So what makes him capable of making that decision for every single woman who gives birth in New York City? NYC has chosen to elect an omnipotent god instead of a mayor. All I can say is that I’m glad I don’t live there. I find it appalling that one of the “traditional Christian family values” is hatred and disgust for non-traditional families. 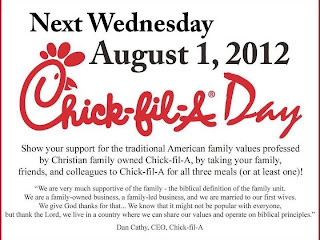 I was taught that a basic tenet of Christianity was “Love Thy Neighbor.” This Chick-fil-A campaign against gay rights is in direct opposition to that prime directive. It’s time for Christians to dust off their old WWJD? bracelets and really consider this issue from Jesus’ point of view. 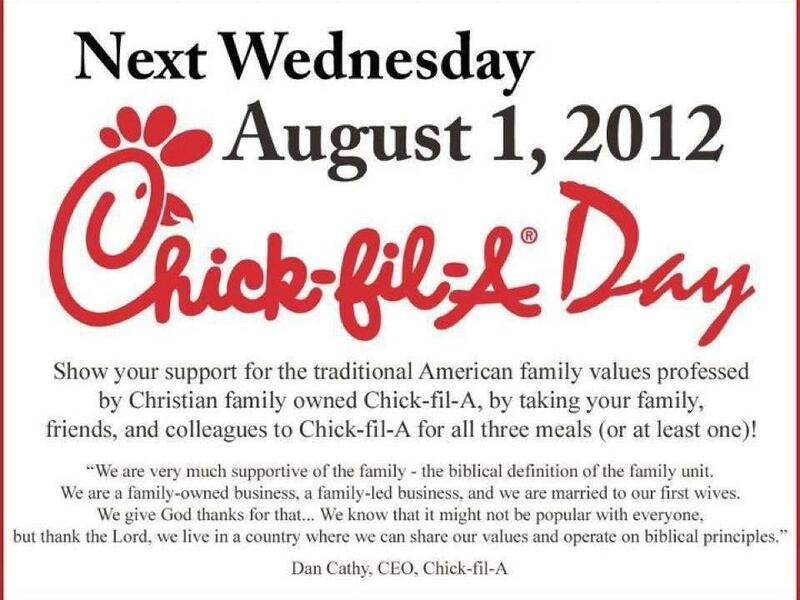 Would he preach hate and intolerance the way Dan Cathy does? I think not. Labels: Christian values, family, gay marriage, gay rights, hate, humor, intolerance, Jesus, love thy neighbor, organized religion, preaching hate, teaching, WWJD? Do you live with one of these people? This is one of the funniest Onion videos I have seen, perhaps because the thought of having to attend a costume party sends me hunting for my stash of anti-depressants. Needless to say, I am not - and never have been - perky. A Car that Makes Coffee? How cool is that? There is no question that feeding a Starbucks addiction can be costly and time consuming. Do you try to ignore the fact that you spend $5 a day at Starbucks? Do you leave your house early just so you can stop at Starbucks on the way to work? Yeah, me too. Fiat (the auto manufacturer) has solved our problem. In Italy, starting this October, you’ll be able to purchase a Fiat that comes equipped with its very own espresso machine. How’s that for the ultimate in convenience? Purchase one, and your car will make your coffee for you while you drive to work. Isn’t that something? Of course, Fiats aren’t cheap, and it is just possible that your daily Starbucks run may prove less expensive than buying a new car. Would it be worth it to have a car that makes coffee for you? Personally, I’m happy if my car windows roll up and down and the AM radio works. Starbucks does not have to worry about losing my business anytime soon. I love the way students become engaged in learning when they are motivated by real-life problems. It is often difficult for students to make a connection between what they are learning in school and “real” life. Finding solutions to real-life problems allows students to see that what they are learning is relevant to their lives, and that it is important for them to learn it. It sounds like a simple teaching strategy, but in fact, most American public schools don’t present students with such tasks. Students learn math, science, language, geography, etc. 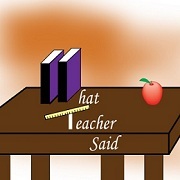 in isolation, and are never actually able to connect the subjects with each other, let alone with what happens in the world outside of school. What can happen when students are given a real-life problem to solve is magic. 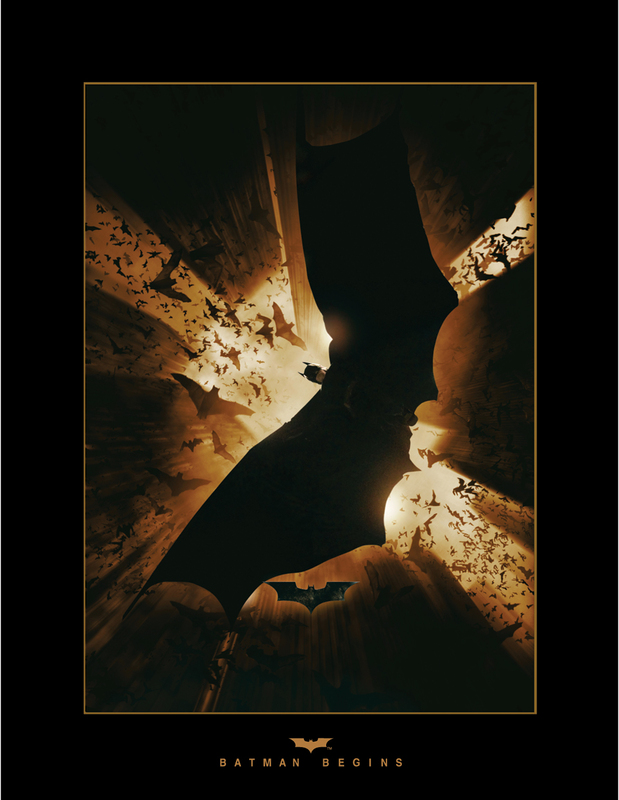 A group of physics students at the University of Leicester in Britain recently wrote a paper titled “Trajectory of a Falling Batman.” They made extensive calculations on whether or not Batman could indeed glide with his cape and land safely, as seen in the 2005 movie Batman Begins. Now that’s an awesome real-life problem. What if these students wanted to make a Batman movie and had to decide how to create such a stunt? 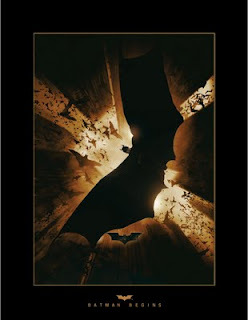 Is it possible that Batman would land safely or are they going to have to use creative computer-generated images? Wouldn’t it be wonderful if we could engage our students in real-life problem solving? Can you imagine how much they would learn? Of course, what they learn isn’t necessarily quantifiable in terms of standardized multiple choice tests. Maybe that’s the problem with American education. Gesturing has to be one of the more interesting methods of communication, don’t you agree? We all do it, and not only to express contempt for the manner in which the driver in front of us is operating his vehicle, although that may be among the most popular gestures. Gestures are used to summon someone (or your dog), to indicate that a zipper is undone (not your dog), to tell someone to call or e-mail you, to ask for a pause, and to express a lack of caring. These gestures are more or less universal. I expect that if you put your hand up in a “stop” signal, anyone anywhere in the world would understand you. Most of the time, we tend to be unaware that we are using gestures; they become such a part of us that they are unconsciously part of our routine communication patterns. That said, what do we do when the gestures we use on a regular basis are annoying to other people? Goggle Eyes, a software developer in England, recently commissioned a study on gestures that shows that many of our habitual gestures are indeed irritating to other people. I can see that these findings on annoying gestures might be very useful if you speak in public, tend to pontificate when out with friends, or run for president of the United States. Do people find you annoying? Lose the gestures! Teen Anger Attacks an Epidemic? As you know, I taught middle school for years and raised two sons. I have a pretty good idea of what those middle school years are like for both children and parents. Middle schoolers are impulsive, hormonal, social, and have attention spans that are, well, limited. Adolescents test their parents and their teachers, trying to determine where that final line in the sand is really drawn. They pull away from their families and cling to their friends, taking the first step in becoming independent human beings. Needless to say, this situation can be explosive. A son or daughter who has suddenly morphed from a happy, loving child to an angry, hormonal adolescent can make life nearly intolerable for parents. I have offered my box of tissue to many parents who burst into tears at conferences, trying to understand why their children are suddenly failing school after 5 years of straight A’s. They are afraid their children are falling in with the wrong crowd of friends, and many do just that. They worry when their teens refuse to follow the house rules. Sometimes, parents are even afraid of their children. Harvard University Professor Ronald Kessler recently conducted a study concerning Intermittent Explosive Disorder (IED) in adolescents. Nearly two-thirds of the teens studied had “a history of anger attacks that involved real or threatened violence.” Adolescents who are diagnosed with IED “have had at least three episodes of ‘grossly out of proportion’ impulsive aggressiveness.” It’s no wonder their parents fear them. IED can be treated with medication and with anger management classes. However, I have to wonder what it is about our society that makes our adolescents prone to violent anger attacks. Is it the violent movies and TV programs they watch? Is there something in the food that they eat? Is there an inherent fatalism about the future of the US economy that makes our teens feel hopeless and frustrated? Or have adolescent anger attacks always been there and we are just now labeling them as a disorder? I suspect that it is a combination of all of these, and probably a dozen more issues, that are bringing adolescent anger attacks to society’s notice now. It has never been easy to be an adolescent, and it doesn’t appear to be getting any easier. Perhaps learning to control anger is an important rite of passage that can’t be avoided. There is hope, though; the majority of our teens do grow up to be decent human beings. By “less” I mean that society views overweight people as less capable, less intelligent, and less loveable than people who are not overweight. It is irrelevant that you are the most competent person in the office, that your IQ equals that of Stephen Hawking, and that you have a kind, charismatic personality if you are fat. Fat – if you’ll forgive the bad pun – outweighs all of the other qualities a person possesses. That’s not right, but that’s how it is. While shopping at the mall last weekend, I took this picture of the front window of a girdle shop. Yes, there was an entire store dedicated to “the perfect body.” No, I didn’t make that up. If you don’t happen to have a “perfect body” already, this store will happily squeeze you into a neck-to-ankle girdle that will supposedly reshape you. How bad does your personal body image have to get to make you willing to wedge yourself into a head-to-toe girdle? Of course, “fat” is a relative term. Right now, excessive thinness is “in.” But can you look at the picture below and actually speak the words: “Marilyn Monroe was fat”? Maybe someday we’ll go back to understanding that there is a “too thin” as well as a “too fat.” Marilyn was perfect.